Hello users! This post is going to be brief user documentation for style blog WordPress theme. Almost everything that you might need is documented here for style blog. If you couldn’t find any information that you are looking for please let is know. Select the theme from your computer ( ZIP file ) & hit install. After you install Activate theme. Install a plugin called “THEMEBEEZ: TOOLKIT” which is shown in the recommended section. It’s time to import demo data. Go to Dashboard > Appearance > Import Demo Content or you can see option for Import Demo Content at THEMEBEEZ : TOOLKIT homepage. Now, you can see different available demos and click on import which you like most. Wait ( approx: 3 – 5 minutes ) to get all data to be imported as per your internet speed. When demo import is done, now its time to set up widgets, banner, menu and few other settings according to your requirements. We are working out to bring Demo Import Plugin for the pro users. But support team can help you to import demo manually. 2.4 USE STATIC PAGE OR LATEST POSTS? Do not set any static page to Home page here. This is blog theme, you are supposed to have your latest posts here. 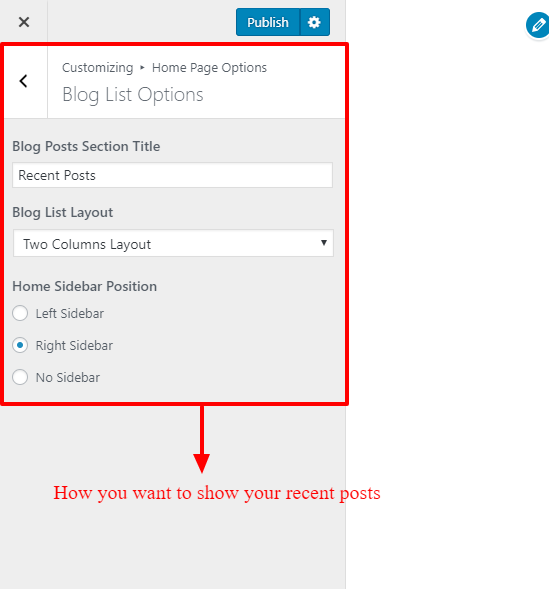 Lean how to customize header of style blog theme. 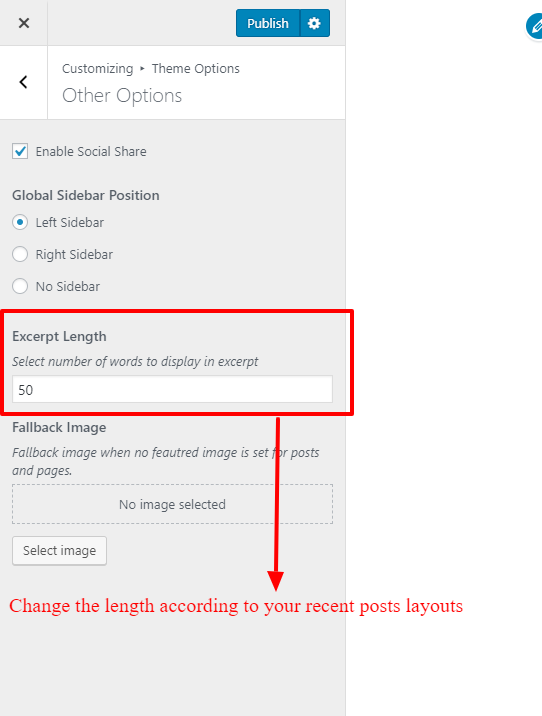 Select Display Location to Social & Hit save. You can change website logo from Dashboard > Appearance > Customizer > Site identity. The recommended height of the logo is 90px. Where width recommended is around 250 – 350px. Header two ( PRO ) : In this header, your logo comes at centre. You can set your own width & height. There is no restriction for this logo position size. Recommended size is 300 px width & 150px height. Recommended size of header advertisement is 768 * 90 px. You can use google ad-sense or something similar. To add advertisement here in this section go to Dashboard > Appearance > Widget & select HTML text box or image widget in Header advertisement Area Widget Option. 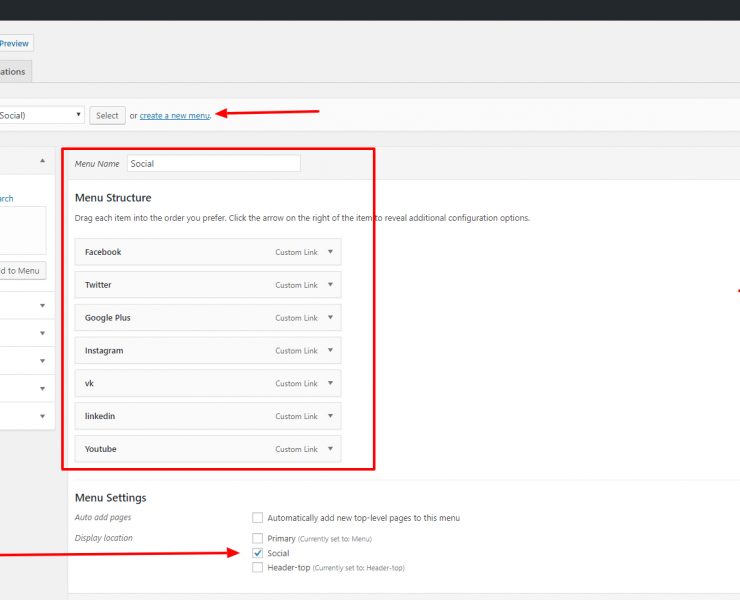 In this section/slider you can display your latest posts or posts from any special category. 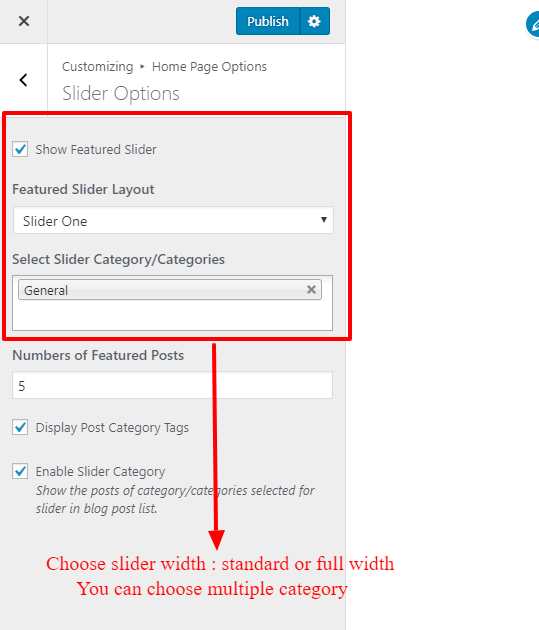 To customize homepage featured slider navigate to Dashboard > Customizer > Homepage option > Featured slider. 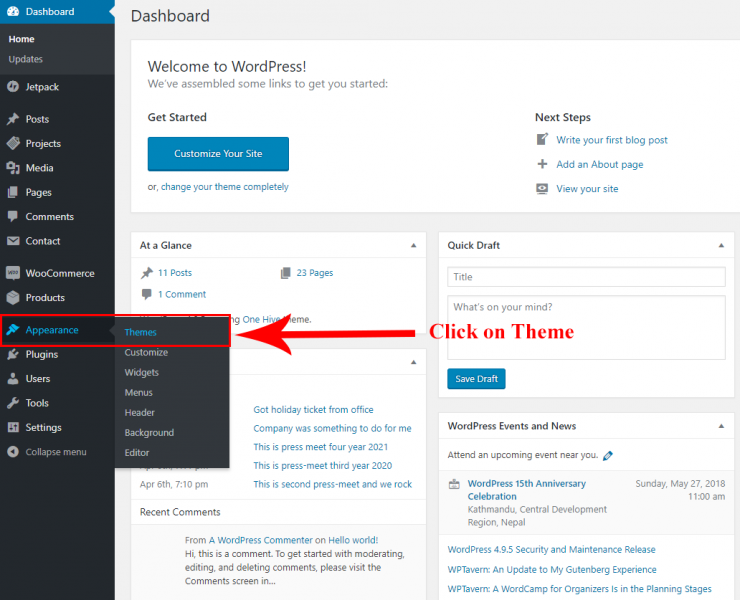 Featured slider Options ( PRO ) : In style blog plus you do have option for featured slider. You can choose between standard or full width slider. We aware of image size, make sure you use image bigger then 1200 px width & 700 px height . 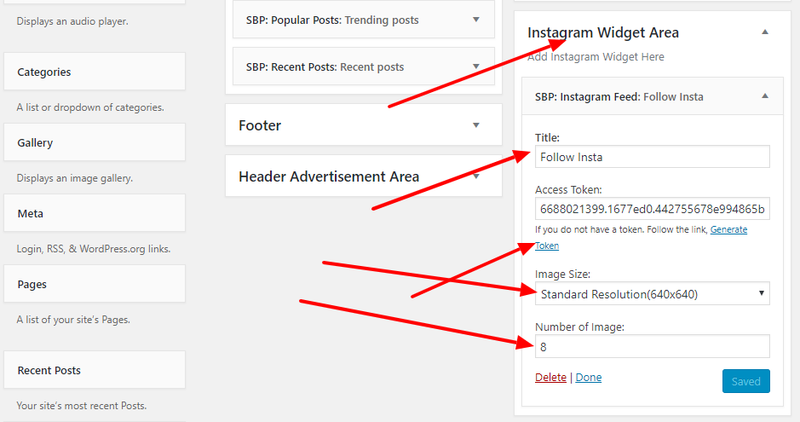 In pro version you can choose either 1 or multiple category to display your post. Free version : In free version there is only one option for recent posts. Featured image at left & post description at right. Pro Version : In pro version you have multiple option to show related post. You can tweak & get your own style.Make sure you change the excerpt text size when you change the recent post layout in pro version. 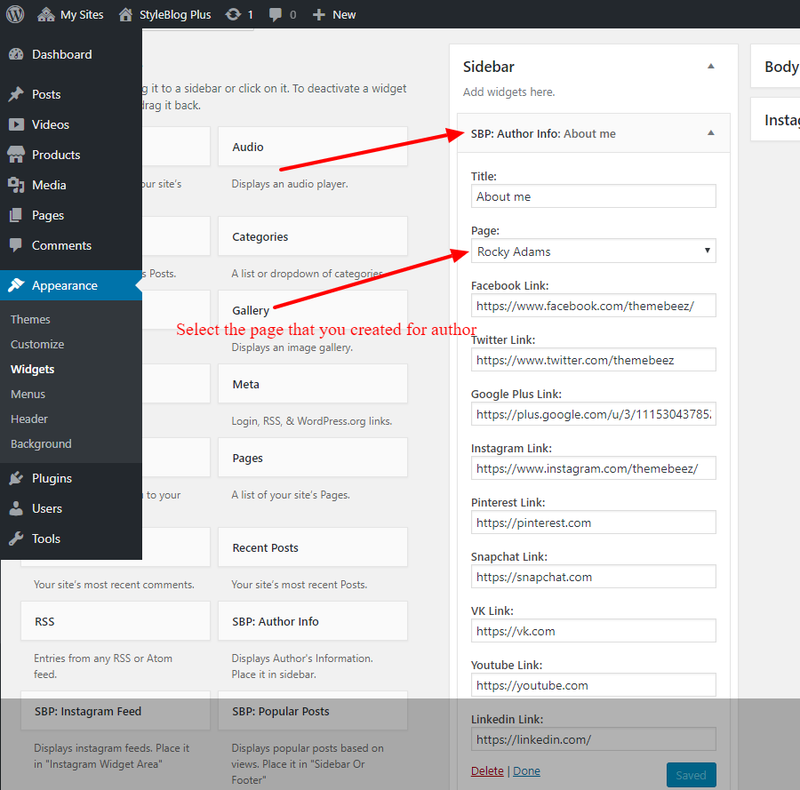 To add a Author widget Navigate to Dashboard > Pages > Add New Page > Enter title. Add short description and feature image. Now navigate to Widget from Dashboard > Appearance > Widget. Select Author widget > Select Author page that you have created recently. Enter social icons. You can add product to this section from Dashboard > Product > Add New. Below picture will guide you for sure. 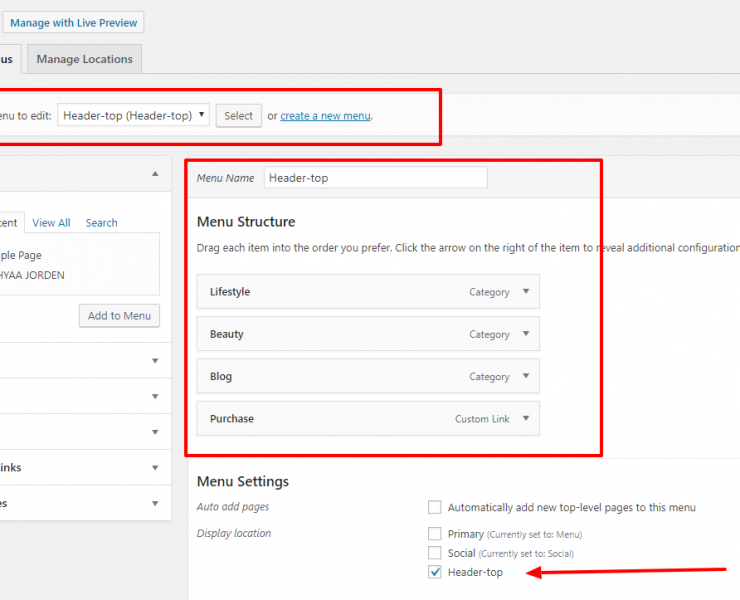 To change the section title of this section you can do that from customizer. Featured images for the affiliated product are NOT automatically cropped. We recommend 300 x 300 px size. This section is not Woo-commerce shop or any e-commerce shop, its just a external link affiliated product section. You can add your recent instagram feeds in this section. Navigate to Dashboard > Appearance > Widget. To get access token please follow the link in the widget. Do not use this widget in sidebar or footer widget area. The position of this widget is top footer area. You can select any color you wish. We recommend Primary color Black & any color for secondary. 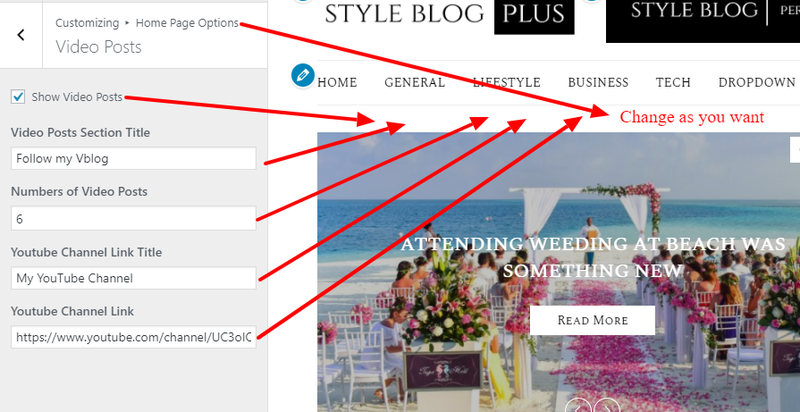 Style Blog plus is compatible with mailchimp. 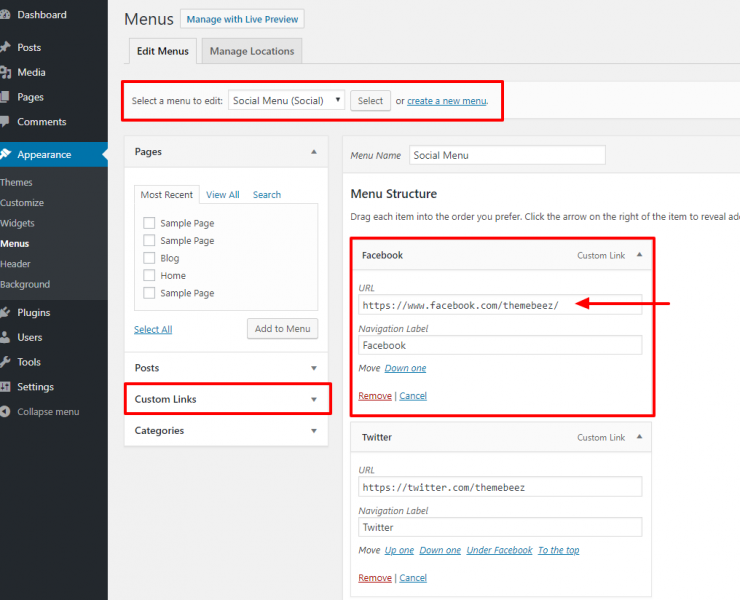 You can install mailchimp plugin & create form. After form is created you will find short code. Copy that short code and paste that at SBP:MailChimp widget. In free version there is only option of slider to show related post. In Pro version you can switch related slider to grid layout too. Excerpt plays important role when tweaking layouts. 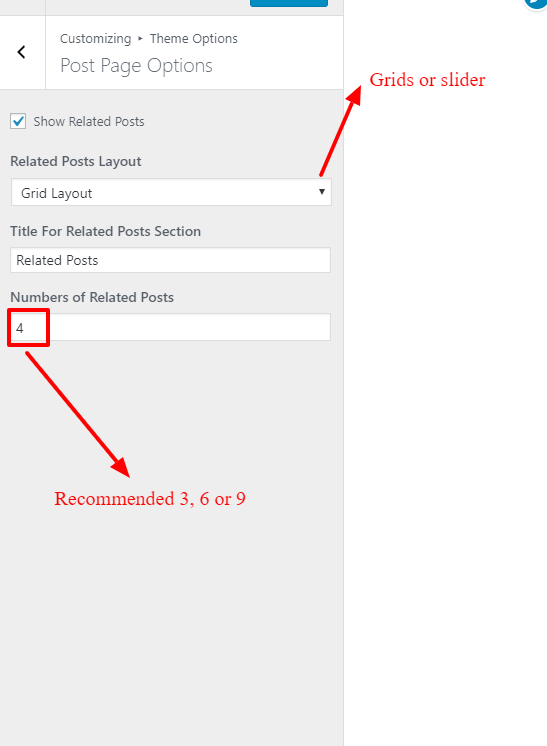 While you choose between recent post layout make sure you change this value according to your requirements. Important : When you switch different themes ( Activate ) theme your image size may not be suitable for style blog if you are expecting problem with image sizes make sure you regenerate thumbnails again with plugin called ” Force re-generate thumbnails “. 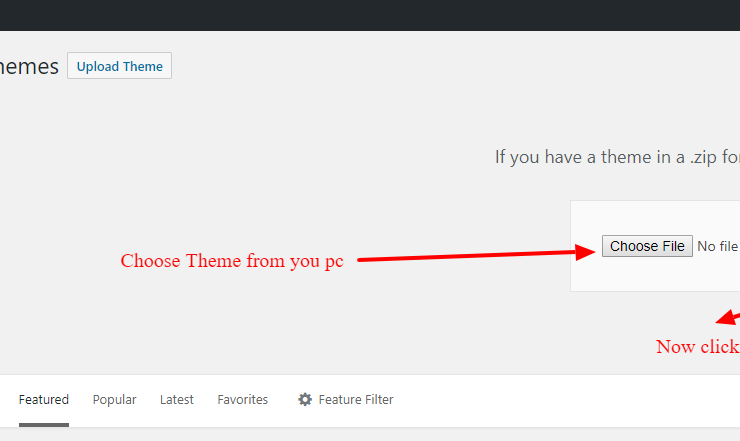 To customize & tweak theme according to your need there are few options that you can get inside Dashboard > Customizer. In customizer look for theme option. 16. 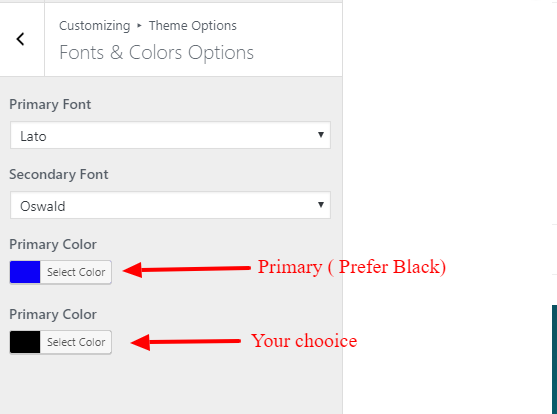 NEED HAND TO CUSTOMIZE OR ADD OPTIONS IN YOUR THEME ? 17. QUESTIONS OR CONFUSIONS ? If you have any questions or confusions please feel free to ask us in LIVE support or navigate to our support forum and create a thread.